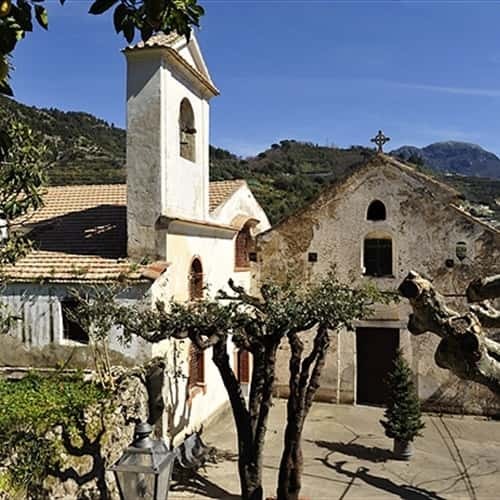 The village is the typical example of a small rural hamlet plunged in the peace and calm, away from the noise and chaos of modern life, and characterised by colours and scent of the lemon groves of the Amalfi coast. St. gennaro's Church is situated in the centre of the village. Its origin dates back probably around the X century and is the unique example of Romanesque architecture in the whole coast. next to the church, the adjoining Oratory of S.M. delle Grazie was built to give hospitality to the Congregation of the Holy Rosary, dating back to the second half of the XVI century.